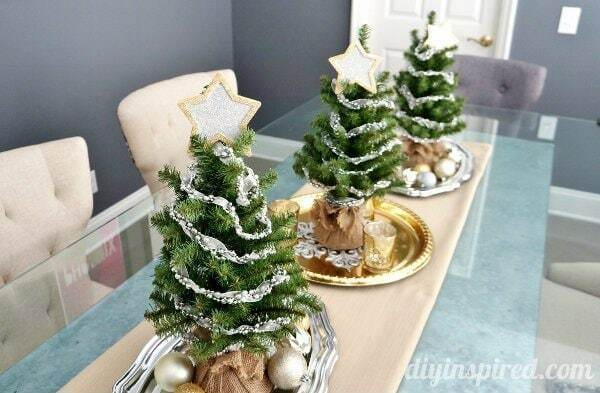 Christmas Tree Centerpiece in sponsored by Jo-Ann Fabrics and Craft Stores for the Celebrate the Seasons Campaign. All opinions are 100% my own. I absolutely fell in love with threes trees when I saw them. I love the burlap wrapped around the base. 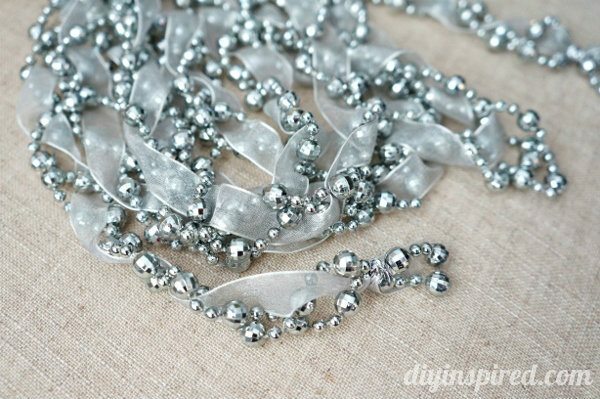 I knew I wanted to make the centerpiece silver and gold so I bought these pretty strands of ribbon and bead garland. 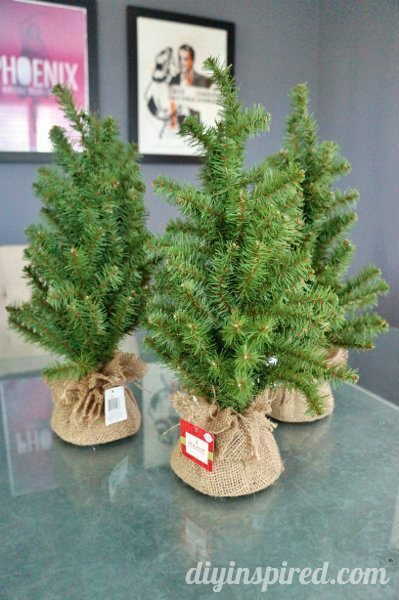 I wrapped it around each tree and they fit perfectly. 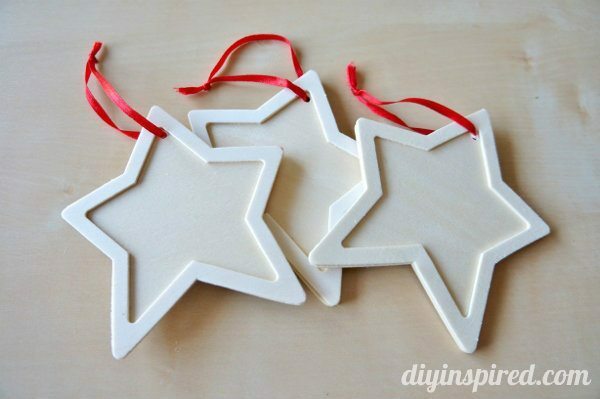 My daughter picked out these three wooden stars. She wanted to help me glitter them. 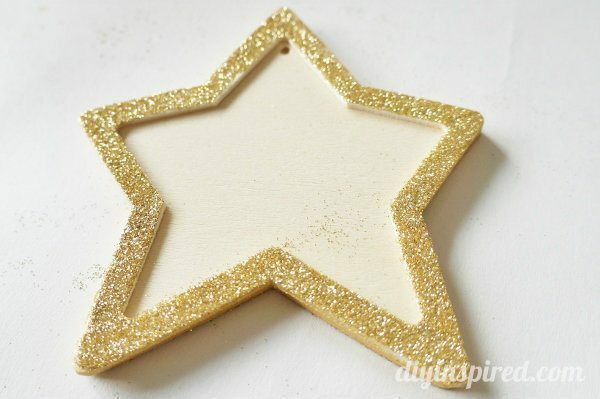 We painted the edges gold and them glittered the back gold. I used a paintbrush to paint the edge of the front with glue and glittered it gold as well. 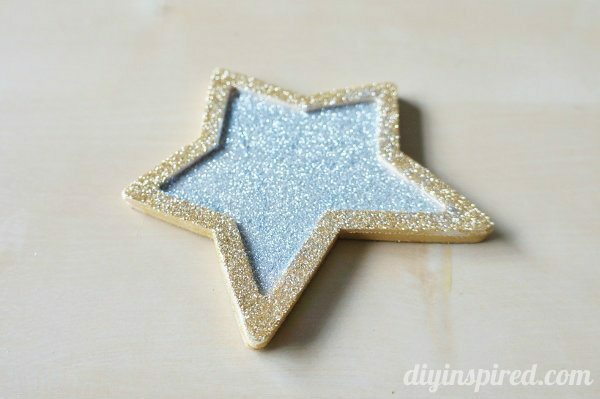 We glittered the center silver. My daughter helped and placed the stars on top. 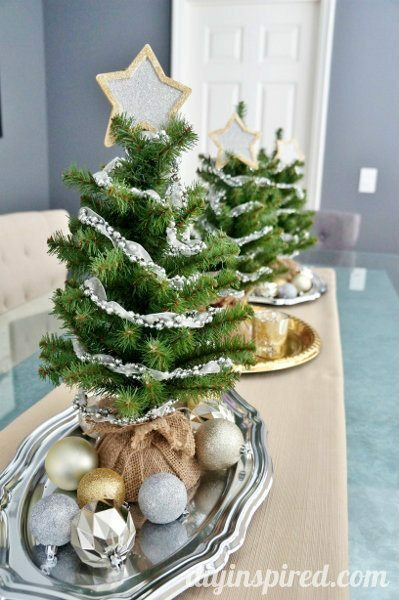 I put the trees on silver and gold serving platters and scattered silver and gold ornaments around each tray. I didn’t have a table runner so I folded a table cloth that I had handy. This project was fun to do with my daughter. 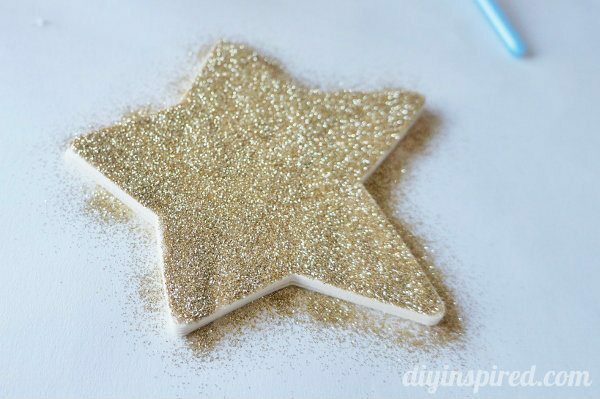 It’s simple and easy yet fabulously festive!! Thank you to Jo-Ann’s for sponsoring this post! They look fabulous and even better in person. Love it! Those little trees are super cute. Thank you Sarah! Super simple but it works for my large table! Hoping someone can help me. 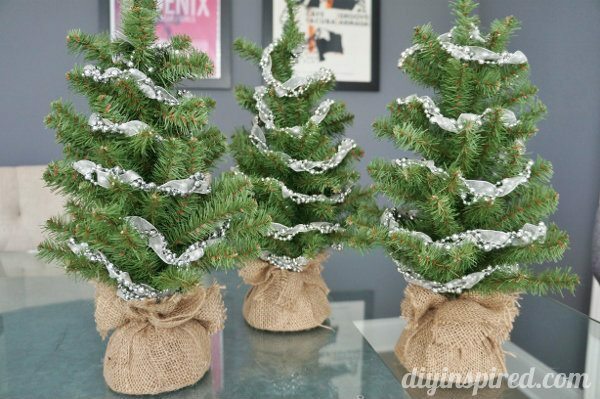 I have Burlap Ribbon, has metallic threads through it . Label says 97%jute, 3%poly.